One of the things that sets Kingsley apart is the sense of community you feel the moment you walk in the door. 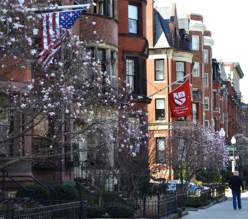 Coming inside from the bustling streets of Boston and entering a supportive, collaborative, and fun environment is something that never gets old for our students and families. We love providing opportunities for our community members to get together; including our alumni! 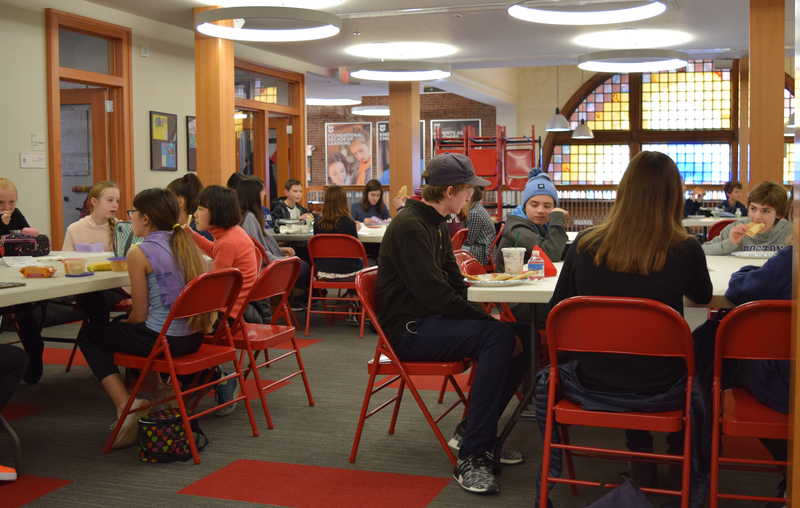 Each year, Kingsley hosts an Alumni Lunch event, and invites graduates of Kingsley to come back and share their experiences with current students and staff. Current students, staff members, and alumni all look forward to this opportunity to get together with old friends, catch up on the news of the day, and share all of their new knowledge. 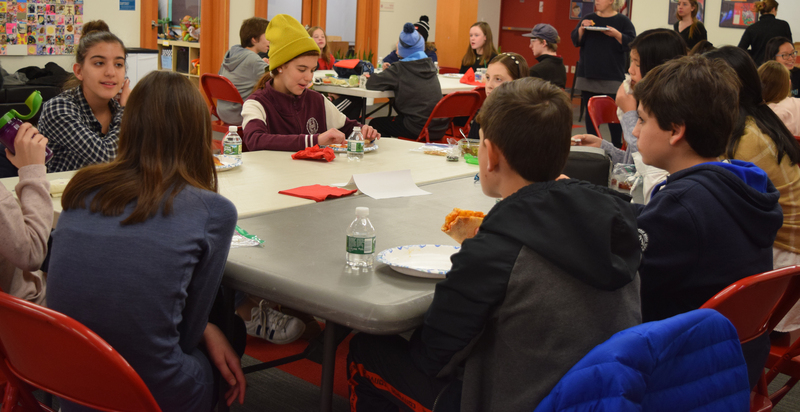 We keep the Alumni Lunch small, only inviting current Sixth Grade students and their Upper Elementary teachers, in addition to our recent alumni. Our Sixth Grade students appreciate the opportunity to have serious conversations with their former classmates. Current students love hearing about what their friends are up to now, and getting the inside scoop on what their next schools have in store for them. Teachers love hearing about the new adventures and challenges their former students are taking on as well. The Alumni Lunch is a tradition that serves a number of valuable purposes in our community. We love being able to bring old friends together who may not see each other as often as they used to. It's also a great opportunity to reconnect with classmates that you may be back in school with next year. All that, plus all the great information and insights about what to expect after Kingsley... and pizza! Keeping our Kingsley community connected is only the beginning! We're so grateful to have such a close-knit community. It's always a treat to be able to connect with alumni and see the wonderful things that they're accomplishing. If you're interested in learning more about Kingsley, join us for an upcoming admissions event.